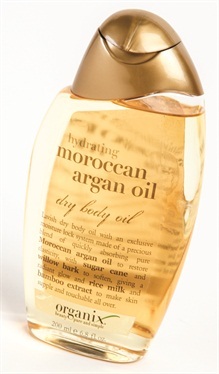 With added ingredients of sugar cane, willow bark, rice milk, and bamboo extract, the Hydrating Moroccan Argan Oil Dry Body Oil from Organix helps combat dry skin. Its nongreasy formula moisturizes the skin with naturally occurring nutrients and a burst of hydration. For more information, visit Organix.